… A Piece of Sheffield History ….. 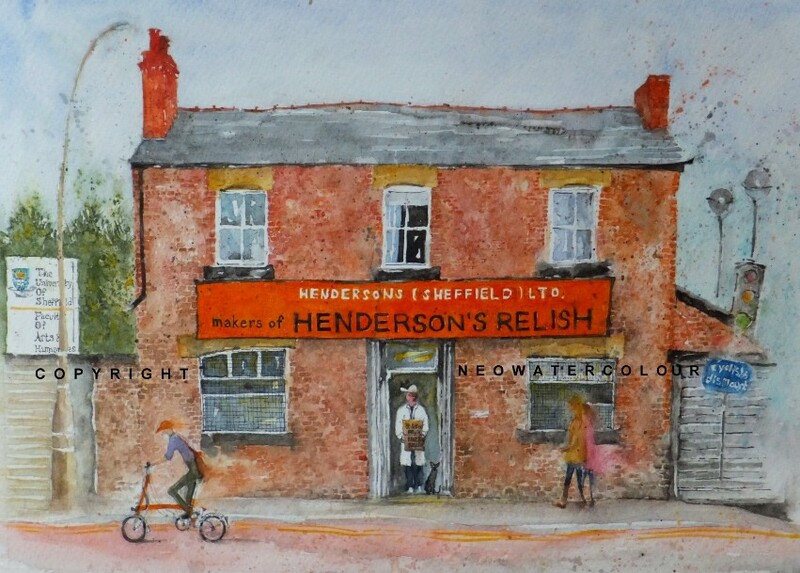 This entry was posted in Art, Cats, Sheffield, Sheffield - watercolours, UK and tagged Brompton, cycle path, Hendersons, Leavygreave, Relish, Sauce, Sheffield, Supertram, University. Bookmark the permalink. 16 Responses to … A Piece of Sheffield History …..
I’ve had some pieces in the pipeline here and there but some setbacks too, also WordPress seems to be playing up for me, so allowed me to drift ! anyway, I hope to be posting more work soon. You’ve given it even more character with your watercolour Victoria ! Lovely it is . You have brought out the quaint character here again V! I like the way you have almost propped it up by light poles and lamps. I hope the uni takes it on! I like your observation P, I didn’t realise but its true – those posts and lamps come in handy ! Fingers crossed the Uni will, it may not be the most elegant of buildings but it really is part of Sheffields heritage and dear to many people. Lovely watercolour painting; the brick colour stands out. Thankyou ! I got carried away with the bricks (again….!) but they are a major part of this subject 🙂 Happy New Year to you ! This is a brilliant painting it made me smile. You have certainly done it justice – fabulous well done you hugs Tam & Maryxx PS everyone loves your three pieces of artwork thank to you we really do too!! !